Some of the most enjoyable original acoustic music around! I found the sound soothing and ï¿½ï¿½ sooo happy I can follow the words. Very nice ï¿½ï¿½ Mellow. Professional. Listened to them all enjoyed them all. 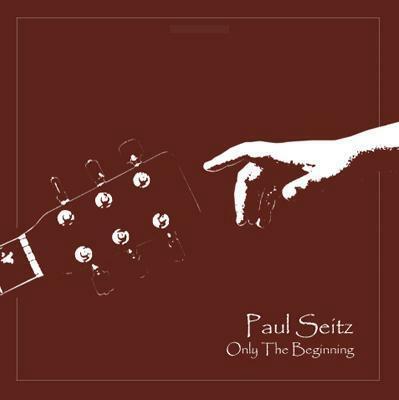 Our first CD is a collection of Paul's original songs, written between 1980 and 2003. The CD features backup vocals by Kelli on seven of the tunes, and The MacKenzie Family Singers on Paul's song, Snowflakes. 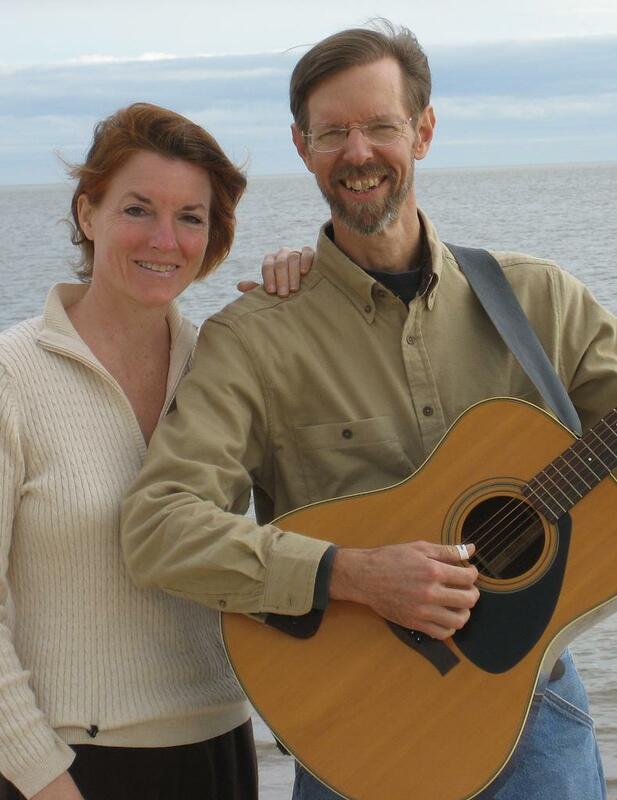 Also featured on the CD are Matt Ling on Mandolin and Margaret Ling on violin. This CD has been hailed by listeners as: "Soothing", "Warm-hearted", "Fun", "Healing", "Soul-stirring" and "Downright goofy!" This CD has something for everyone, from the addictive Snowflakes (for every child who hears it - parents be warned) to the plaintive Time For Leavin' to the utterly romantic Cassandra to the wittily sweet Adam and Eve. To purchase copies of Only The Beginning, email CD-Orders@WavyLand.com, or call 713-880-1974. Signed CD's are available on request at no extra charge. Discounts available on quantities of 12 or more. We are available for parties, family gatherings, corporate events, and anywhere fun, uplifting music is desired. Thank you for supporting our music. If you get to any of our gigs, please come up and say hello. PS Below is a brief biography of Paul's intro into music. Our fondest desire is that you find it inspiring. Enjoy. or "How I learned to sing in the Back of a Car"
I was born in the late Fifties in the Texas Rio Grande Valley. One of the highlights of living in the Valley was being so close to Mexico. Every so often, my Mom and Dad would drive us kids across the border into Matamoros or Reynosa, for dinner, margaritas, and Mariachi music - well, my folks had the margaritas, and us kids were stuck drinking Shirley Temples and listening to the Mariachis. I can remember sitting in awe as the Mexican musicians spun out their tight, fast vocal and instrumental harmonies. In the summertime, we would load up the car, and take off "on vacation" across Texas, and sometimes through Oklahoma, New Mexico, and up into Colorado. At some point on the road, Mom would begin singing. As we all began to join in, she would break off into lilting harmonies that gave our songs a life all their own, and made us all sound so much better than we probably were. Looking back, it was probably a survival tactic on Momï¿½ï¿½s part, since sharing an old Plymouth station wagon with six kids and Dad for six to seven hours a day might have spelled the end for a lesser mortal. I can remember sitting in the back seat, trying to figure out how Mom was making those neat sounds. My first successes came through copying her harmonies to songs such as "Bingo", "Jackie Frost", "Dixie", and "Swanee". Over the next ten years, our family migrated up the Gulf Coast, living in Corpus Christi for two years, before finally settling in Houston in 1969. I was ten years old. As I began fifth grade, one of the nuns at our school, Sr. JoAnn, began teaching beginning guitar lessons. I started out on an old guitar, that my Dad had brought back with him from one of his trips into Mexico. After about two years, I stopped the formal lessons, and continued on my own. At one point in early High School, I had stopped playing altogether. That Christmas, we made our annual trek back down to "the Valley" for Christmas at Grandmaï¿½ï¿½s house. During our visit, my cousin Joe, whom I had grown up with before we moved away, gave me two old John Denver record albums, that he didnï¿½ï¿½t want anymore. Those albums, Rocky Mountain High and Farewell Andromeda, which I still own today, became my beacons for picking my guitar up again. My goal was to emulate John Denverï¿½ï¿½s clear, high voice and flawless guitar playing. I also developed a keen appreciation for his style of arrangements. Other early influences included acoustic artists such as Peter, Paul, and Mary, James Taylor, Gordon Lightfoot, Don McLean, Joni Mitchell, Crosby, Stills and Nash, Judy Collins, Joan Baez, and Bob Dylan, and of course, my Mom. For me, what all these artists shared was a magical sense of phrasing, both vocally and instrumentally. It is this sense of magic that I strive to create in my own music, both live and recorded. I want my music to effect you the way my Momï¿½ï¿½s harmonies got to me. I want you to be inspired to go and create your own music, in your own unique way. But feel free to sing along with me, if you like: "There was a farmer had a dog, and Bingo was his name-Oï¿½ï¿½"